ArmInfo. The second President of Armenia Robert Kocharyan intends to appeal to the European Court of Human Rights on the fact of criminal prosecution against him. He said this in an interview with RIA. "I'll definitely go there if there is such a need. The question is that you have to go through all in-country procedures. Although there are some cases when cases are accepted and before passing through in-country procedures, when there is obvious pressure on the courts and the situation in which the internal procedures are already deliberately unable to provide an objective judicial investigation. In my case, there is such pressure, and now the lawyers are already preparing this appeal, "he said. According to him, the telephone conversation between the head of the Special Investigation Service and the Director of the National Security Service is just something unseen in the history of Armenia." after which, at least, a series of resignations was to follow. But they all continue to hold their posts, they all feel quite comfortable, continue to do what they did. Although objectively speaking, they were caught while committing a crime, because pressure on the courts is a direct criminal offense. And they continue to hold their posts. That is, this fact itself destroys the criminal case, where I am the person involved. 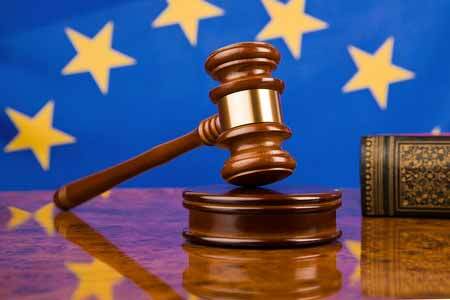 This fact is quite enough for the European Court of Human Rights, "Kocharyan said. At the same time, he again stressed that the criminal case itself against him (he is accused of overthrowing the constitutional order, ed.) Is simply fabricated, there is nothing there. "I didn't understand what they accuse me of. I think the accusation also doesn't understand what it accuses me. That is, they cannot explain to me what they themselves don't understand very well. I am accused of overthrowing the constitutional system: was the president, I had to overthrow myself? And a month later I resigned as soon as my term expired. How did I overthrow him? I think this is personal revenge, since the current Prime Minister was an active participant in the events of March 1 and himself criminal prosecution for this. This is a political vendetta, in fact, "Kocharian said, expressing confidence that new charges would be brought against him, to which he is undoubtedly ready.